Well, I guess it was inevitable, wasn’t it? The Environment Agency is putting up boat licence fees for next year by 4.6 percent – that’s inflation plus two percent. The EA says the increases are designed to help it finance the upkeep of all the rivers it administers in the light of reduced Government funding. And it has issued a stark warning that ‘in worst cases’ rivers could be closed to navigation if funding does not keep pace with costs. As most readers will know, the EA has been given the responsibility of looking after the whole of the Thames for the next two years while deliberations continue on whether or not to hand control of the river over to the newly-created Canal and Rivers Trust (CART) that now looks after most of the inland waterways in the UK. I’m all for change as long as it makes sense and is economically sustainable but I think the Agency has made a sound job of looking after the Thames despite having fewer and fewer resources to work with. CART, which effectively took over the role previously fulfilled by British Waterways, has a huge amount of water to look after and will rely very heavily on volunteers to help with the work. The Thames – in my humble opinion – deserves something better and I shall certainly campaign for the Environment Agency to be left in charge of administering the most important river in the country. The registration hike is based on July’s Consumer Price Index, which was 2.6%, plus 2%. On a brighter note, for the first time refunds will be available for boats sold during the year. Also good news is that the Agency is introducing direct debit payments that can be available over 10 months. 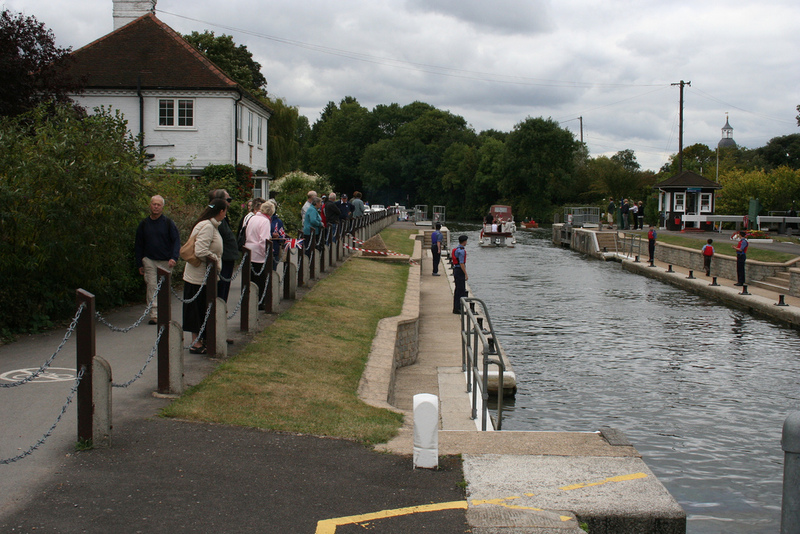 The bottom line is that if the EA doesn’t increase its charges, the locks, weirs and other assets on the river will start to deteriorate at an ever-increasing rate and simply cost more to replace or repair in the long run. I think the bottom line is that we need to pay up to preserve our lovely river. HAS anyone picked up on the ridiculous suggestion made by a Dutch MEP, Toine Manders, who wants to make having a licence to operate a boat mandatory across the whole of the EU? He also wants to make boat checks every five years the norm and he wants to abolish red diesel? Every skipper on the Thames already has to get a boat safety certificate every four years and one of the few advantages to boating in the UK is that you can buy red diesel at half the price of standard road diesel. I’m really tired of bureaucrats in Brussels telling me how to live my life and along with a lot of other sailors, I shall be fighting these proposals for all I’m worth. If you agree, write to your MEP.